In Pokémon Go, your pocket monsters can get injured with all the Gym battles. If your opponents are too powerful, it can also happen that one of your Pokémon faints and falls unconscious. In our guide we will show you what you can do to wake your Pokémon again or heal your pocket monsters. Even if you trained and have developed your Pokémon very well, the highest HP value may even fall to zero. Your Pokémon then needs your help to get back on his feet. For that you need items, which you will receive through rewards or you can buy at Pokéstops. With Potions and Revives your Pokémon ready for the next fight. There are three different potions. Healing Potions: Restore 20 HP. Super Potions: Restore 50 HP. Hyper Potions - Restore 200 HP. If you need potions and revives, then you can buy them from PokéStops. Go to all those special places and collect all the potions and revives you can find. In Pokémon Go, you must first get to the Gym trainer, for that you have to reach level 5. Before that you cannot enter to gym, find potions, Super Potions, Hyper Potions or revives. Is your Pokémon got injured (only one HP), then it can not heal by itself. There are three different ways to heal your Pokémon. On the one hand Pokémon can be completely cured by reaching the next stage of development - for this you need candies. On the other hand you need potions or revives. That depends on how bad your pocket monster is injured. 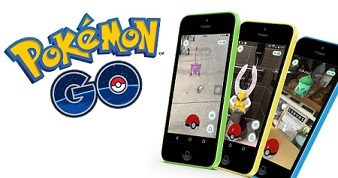 - Click on the Poké Ball (Menu) on the bottom center on the touch screen. - If 1 or more credits of the three potions ranges. - The next screen shows you which pocket monsters is injured. - Select here the Pokémon, which you want to heal. - Repeat this process until your Pokémon healed or your potions or revives are depleted.